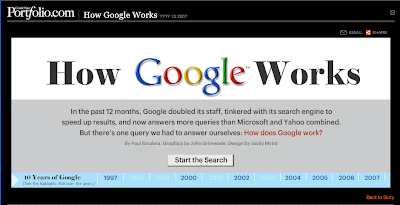 Have you ever figured out how Google search works? It looks simple, the minute you type into Google what you are searching for, within less than 1 sec, you will get an immediate search reply. Check out this site as it explains and demostrates how your search results are gathered from Google clusters of intelligent servers hosted on their data centers. Its pretty amazing which is why Google is an outstanding and impressive Internet search company.